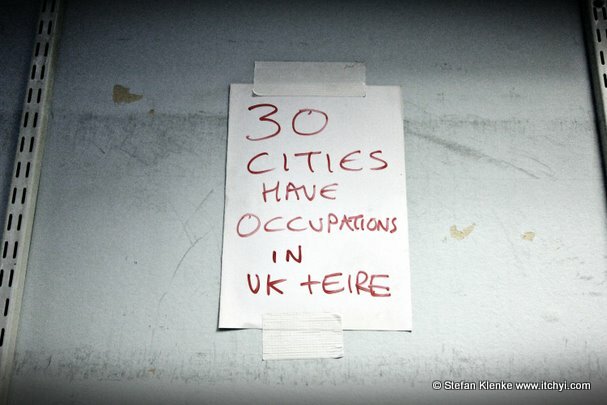 The Occupied Times of London was founded in October 2011 during the first week of the occupation of St Paul’s. The first issue of the OT came out on the 24th of October, just nine days after the occupation began with a print run of 2000 copies of 12 A4 pages. They have continued to produced and distribute the paper monthly. On the Show we have 3 guests, Natalia Sanchez-Bell, Steven Maclean and Jack Dean. Posted in Uncategorized and tagged occupied times, occupy. Bookmark the permalink. From those involved with the Spanish occupation in their own words. Francisco Kunzi & Alfredo Zofio. 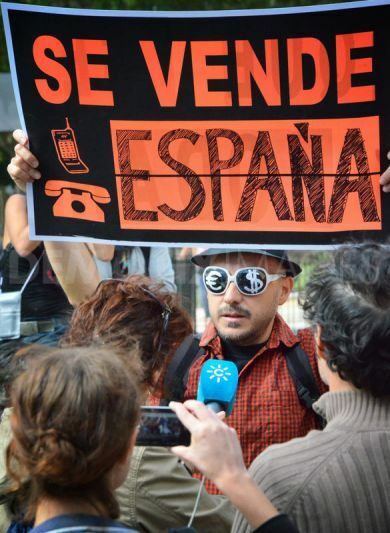 Posted in Uncategorized and tagged occupy, spain. Bookmark the permalink. Show #30 (13.12.11) Occupy Everywhere! This week’s show looks at the occupy movement in London, with guests from the St Paul’s camp and the squatted UBS building Bank of ideas, discussing the occupations and the Occupy Everywhere action on Dec the 15th 2011. Posted in Uncategorized and tagged occupy, occupy london, protest. Bookmark the permalink.